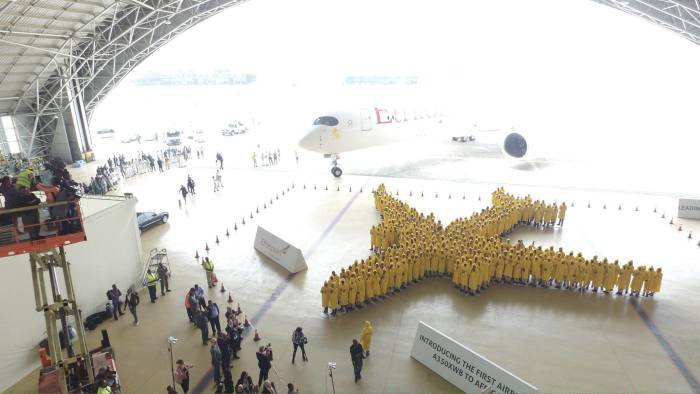 Ethiopian Airlines, Africa’s largest airline company, just received its first Airbus A350 at Addis Ababa’s Bole International Airport. It is the first African carrier to own the new-generation wide-body aircraft. Ethiopian’s new Airbus is configured with 30 business and 318 economy seats. The A350 delivers the ultimate comfort and well-being experience to its passengers. It is equipped with wider seats, WI-FI connectivity, and the latest high-definition touchscreen personal monitors. The engines have low CO2 emissions for a wide-body aircraft and an optimized fuel burn system. “The fact that we are ushering in another first to Africa in a span of four years is an affirmation of our continuing pioneering role in African aviation. It is also a testimony of our commitment to give our passengers the very best travel experience, with the latest industry products and services. On behalf of all my colleagues at the Ethiopian family, I am delighted to see Ethiopian to continue making Africa First in Aviation Technology,” said the CEO of Ethiopian Tewolde Gebremariam. The company has ordered 14 Airbus A350 aircraft, 12 from Airbus and 2 leased from AerCap. Ethiopian Airlines plans to deploy the ultra-modern aircraft on the Lagos, Asia, and North America routes. In order to celebrate this new purchase, the airline’s employees gathered 350 people to make the largest ever human image of an airplane. A team of adjudicators from World Guinness Records measured the shape and the took a photo of it. “Today we are very pleased to magnify our reception ceremony with this interesting event of making the image of Africa’s first Airbus A350 XWB and registering our name in the Guinness World Records, which has made this historic occasion even more special and colorful […] Hence, we are celebrating being the first operator of Airbus A350 in Africa and the first in the world in its image forming,” added Gebremariam. 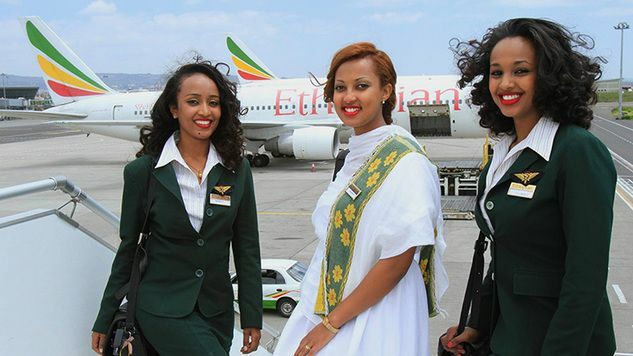 SEE ALSO: Ethiopian Airlines Celebrates Women With Its First All-Female Operated Flight.